See labels for organic ingredients. DEEP DIVE button (below) shares: Country of origin, parts used, extraction method, precautions, directions for / use on infants, children, adults, elderly, pregnant mothers & more. 3RD PARTY ORGANIC CERTIFICATION VS. SELF CERTIFICATION: Essante Organics essential oils are the purest, cleanest, most highly tested and governed oils in the world. 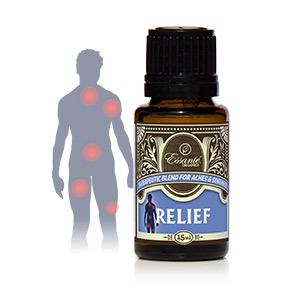 Each pure and natural essential oil is guaranteed to be at full potency. Each essential oil and carrier oil is tested and guaranteed to be 100% free from all dangerous toxins including heavy metals and pesticides. 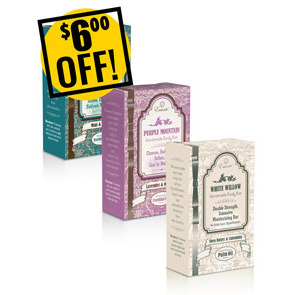 All blends contain certified USDA Organic® oils and/or Wildcrafted oils (see label for organic ingredients). All single oils are certified organic by the USDA NOP® (United States Department of Agriculture National Organic Program®). The USDA Organic® certifying agency is a true, 3rd-party governing and regulatory agency that legally ensures Essante Organics is held to the highest quality and organic standards possible. Essante Organics does not condone essential oil companies that “self-certify” their own oils, because self-certifying is a biased method that is not governed or regulated in any way by any outside authority. Self certifications may legally state whatever the company desires to state about their own product(s) be it truthful or not. For this reason, Essante Organics has every single oil extensively tested and properly certified by the gold standard regulatory agency: The USDA National Organic Program®. Disclaimer: Per the FDA Sales Executives, who are not licensed medical providers, cannot use the following medical diagnoses or medical terms when marketing USDA Organic Jojoba Oil: Acne, Cradle cap, Dandruff, Eczema, etc. 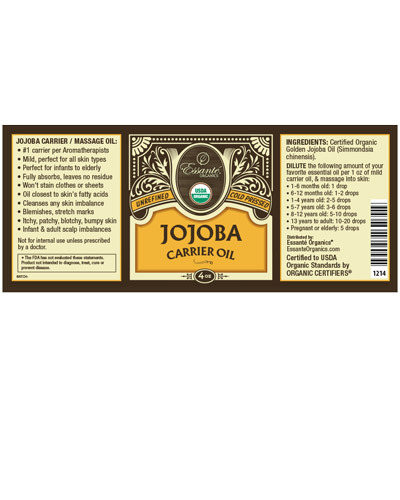 The bullet point terms listed above are FDA compliant terms anyone outside the medical profession may use to market USDA Organic Jojoba Oil. Products do not diagnose, treat, cure or prevent disease. This product WILL ship with TODAY'S order. (Manage Easy Orders in your Back Office). Yes! Deliver this to my doorstep regularly! 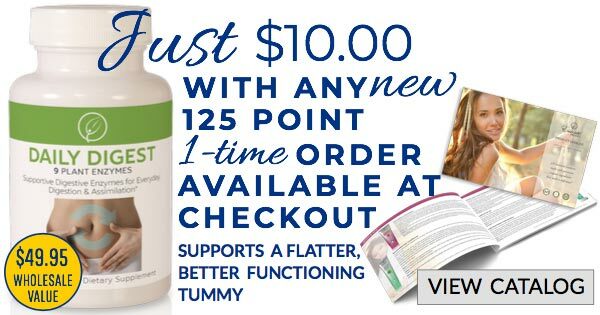 LOOK WHAT OTHERS ARE SAYING ABOUT THIS PRODUCT! ADD YOUR PRODUCT REVIEW BELOW! If your toxic free product doesn’t outperform every other product, email us within 30 days for an exchange or refund. Return shipping & a 15% processing fee apply. You can make a difference just by changing brands. Proceeds from every purchase are donated monthly to charities that support those in need. Your purchase impacts you, our planet & others. Ingredients are our moral fabric. We focus on raw, alkaline, wholefood, ToxicFree®, wildcrafted & organic ingredients. Nothing else is permitted. See labels for organic ingredients. Essante Organics is proud to partner with over 300 organic family farms. We formulate the best products on earth through sustainable farming & packaging practices. Even our packing peanuts are biodegradable. Kids love making them disappear in their bath water. Drugs can pollute the body's liver, cause additional harmful side effects, and be difficult to dispose of without polluting the earth's ecosystem. Many educated consumers, with the expert guidance of their doctor and aromatherapist, have turned to the proven therapeutic benefits of Essanté Organics Essential Oils. SCENT, COLOR, ETC. : Odorless, golden, silky feeling, will not stain sheets or clothing. 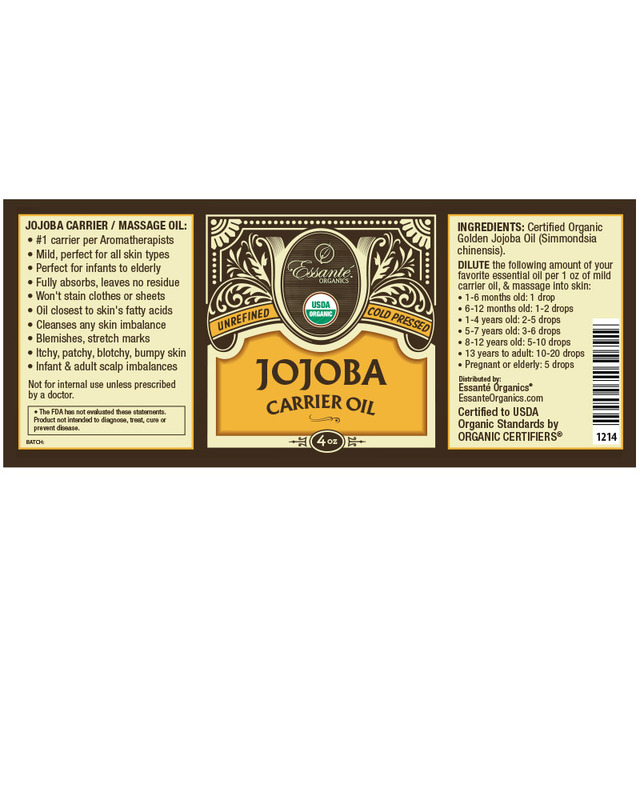 Jojoba Carrier Oil is the #1 chosen carrier oil by Aromatherapists because Jojoba Oil's fatty acid make-up is almost identical to human skin's fatty acid make-up. 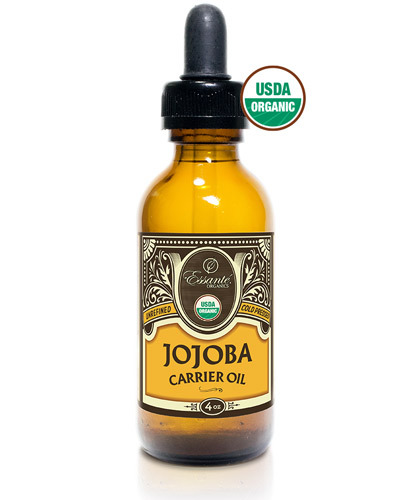 Its perfect fatty acid profile makes Essanté Organics USDA Certified Organic Jojoba Oil the ideal, safest, most therapeutic, and most absorbable carrier oil in the world. It is safe for every human being, from newborns to elderly and everyone in between, including pregnant and nursing mothers. 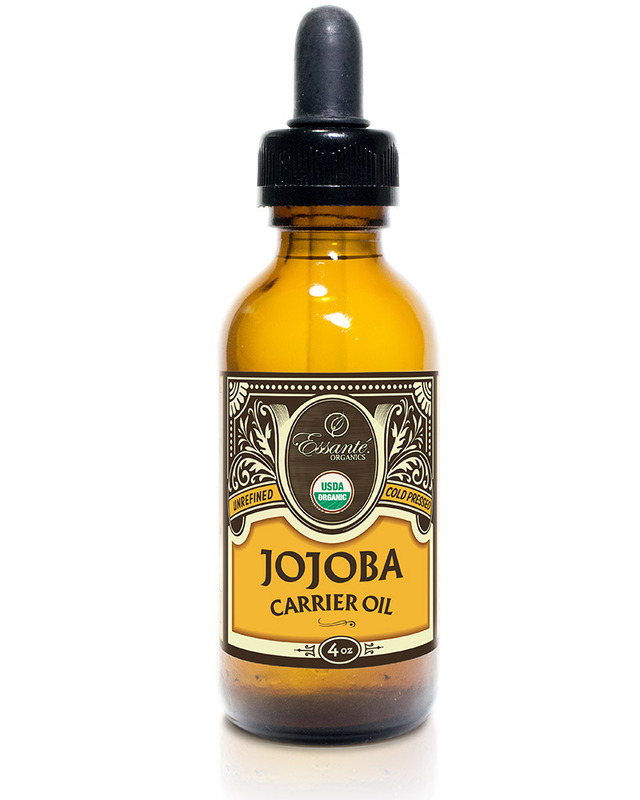 Our Jojoba Oils comes in a glass bottle with a convenient dropper top. No toxic fluoride, triclosan, petroleum, parabens, glycols, PEGs, etc. FDA DISCLAIMER: These statements have not been evaluated by the Food and Drug Administration. This product is not intented to diagnose, treat, cure or prevent disease. INFORMATION DISCLAIMER: This website contains general information and is not considered advice.  All web information is provided without any representation of warranties, express or implied. You must not rely on this (or other) web information as an alternative to medical advice from a physician. MEDICAL DISCLAIMER: Always consult your physician (and nutritionist and aromatherapist) before beginning any exercise, supplement, or essential oil program. Not all products or essential oils are appropriate for infants, people with medical conditions, or pregnant or nursing mothers. Consult your physician, OB/GYN, and/or pediatrician (and nutritionist and aromatherapist) prior to using products of any kind, especially products containing toxic ingredients. WARNING: Do not feed honey or products containing honey, including Bee Natural, to infants under one year of age. Do not use honey as a carrier for essential oils on infants under one year of age.